ASTM A131 A, ASTM A131 B, ASTM A131 D, ASTM A131 E, ASTM A131 AH32, ASTM A131 DH32, Marine Steel Plate. ASTM A131 A, ASTM A131 B, ASTM A131 D, ASTM A131 E steel plate is mainly used to Shipbuilding Project and Ocean Offshore Structural Project. 4:Services:UT, PWHT, Z Direction Test, Charpy V-Notch Impact Test, Coated or Shot Blasting and Painting. 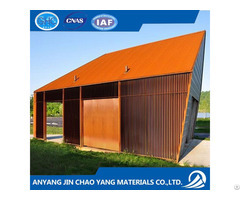 5: Heat Treatment:N, Q+T, 6:The Third Party inspection: ABS, DNV, BV, GL, CCS, CE, SGS. HENAN HZZ IRON AND STEEL CO., LTD is the most valued member of Steel Manufactures' Union in China. Hzzsteel is specialized in manufacturing steel and stainless steel products in both at home and abroad since 1996.It is the largest agent of HBIS.Best price. Best service.If there is a need, please contact me at any time. Business Description: Henan HZZ Iron and Steel CHENAN HZZ IRON AND STEEL CO.,LTD is the most valued member of HBIS in Zhengzhou city of Henan province, China. It had support oversea shipbuilding project, Oil or Gas project and constructing big infrastructural projects oversea since 1996.
shipbuilding steel plate (LR,ABS,DNV,GL,BV,A,B,D,E,AH36,DH36,EH36,FH36,AH32,DH32,EH32,FH32,AH40,DH40,FH40) . 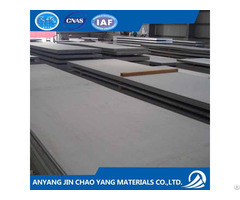 ASME/ASTM Steel plate(A299GrA/B, A302/A/B, A387Gr11CL1,A387GR12CL2,A537CL1,A537CL2,A537CL3). If need more steel grade and standard such API, JIS, DIN, KR, NK ,Kindly send email to shi@hzzsteel.com.cn, The professional team will support your work as one-to-one. At last, Wlecome to Visit our mill for long coopeation and checking steel quality in any time.